"The Swedish Meatball" - that's Ellen! Sqweezing and pleasing the sweet sounds of the accordion through the air to make a success of YOUR affair! 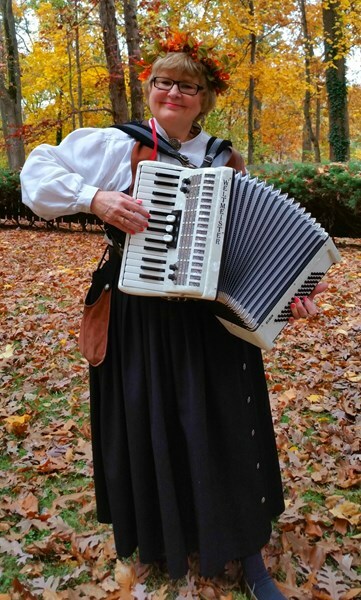 Ellen, also known as "The Swedish Meatball" is of Scandinavian background adding lovely European tunes to her repertoire of eclectic Scandinavian/American accordion folk music. And it doesn't stop there...Italian, Latin, and German music too! Ellen's band...The Swedish Meatballs were formed like a recipe (little bit of this and a dash of that) with all musicians blended together to create delicious music. Whether you just need an accordion or a full band, Ellen "Sqweezer" and main meatball will work with your budget. Toe-tapping, foot-stomping, heart-touching music! Accordion, rhythm, saxophone, drums...lots of rhythm & music! NYC to Long Island up to the Adirondacks to Connecticut, New Jersey, Massachusetts, Pennsylvania down to Philadelphia and Maryland ... wherever & whenever accordion music is longed for! 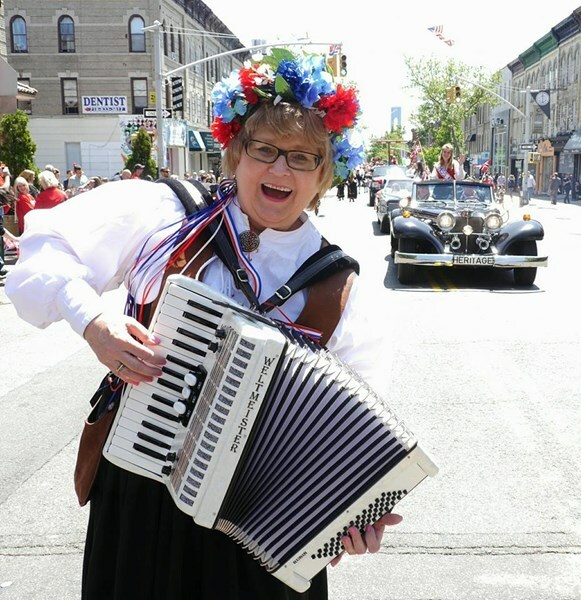 Whether on stage, at a festival, dance hall, restaurant/tavern ... or a lovely backyard or front porch, The Swedish Meatballs entertain all with pleasing melodic accordion tunes. Ellen gets the audience up to participate in circle dances and runs fun-filled games accompanied by music. Performance locations include: IKEA stores, South Street Seaport, Circle Line, The Swedish Museum, Scandinavian Festivals, street fairs, restaurants/yacht clubs, churches, nursing homes, lodge events, OKTOBERFEST celebrations ... and lovely home parties. 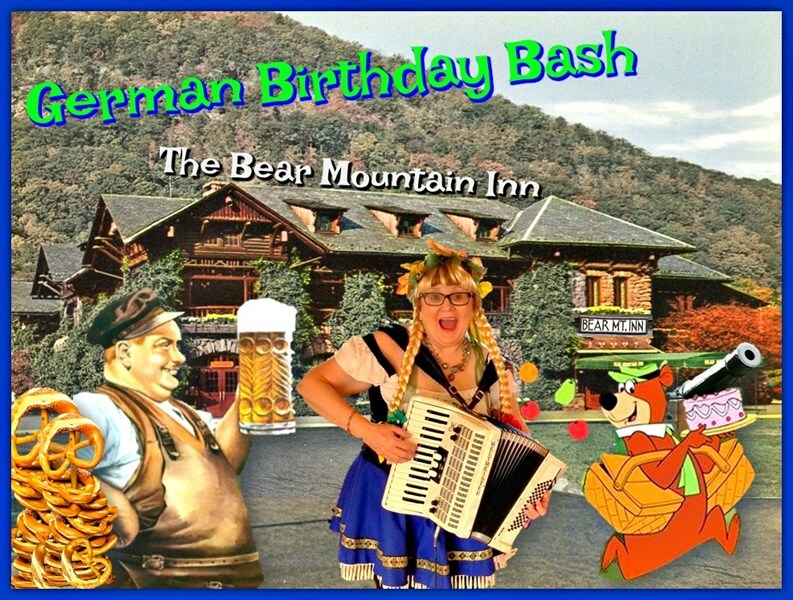 The Swedish Meatball took my Oktoberfest Event (three years running) up another ten notches! I hired her simply looking for some Accordion Music; while making plans over the phone she offered to do some Party Games as well which sounded fun. She came early, set up her instrument including some decorations, played great music, getting the crowd involved with some german sign-a-longs and then organized the games! It was a Blast! We had about 25 ppl and everyone loved her! I would highly recommend her for any event! Please note The Swedish Meatball will also travel to Jamaica, Flushing, Far Rockaway, Arverne, Inwood, Long Island City, Cedarhurst, Lawrence, New York, Valley Stream, Woodmere, Atlantic Beach, Elmont, Floral Park, Hewlett, Glen Oaks, Lynbrook, Malverne, Bronx, East Rockaway, Franklin Square, Hoboken, Jersey City, New Hyde Park, Garden City, Great Neck, Island Park, Long Beach, Oceanside, Paramus.